Commercial shoot in South Korea! We had challenge to shoot high speed shots on location with less-big lights. So we tested the Phantom Flex4k using available lights at hotel. Starring SPIKE!! BTS photo. FROG, world class break dancer based in Seoul. A Documentary Film Shoot in UGANDA! Hey all, we just filmed a part of the documentary film directed by a very talented director, Jennifer Azano. Back in this January, Jen went to Uganda for a month to teach filmmaking program at a local boarding school with her co-producer, Mike DiGiacinto. At the end of the program, Jen led students to make their own short film. The film that is written, acted and made by the 14-15yrs old Ugandan students who never learned screenwriting, filmmaking or acting before! She came back to U.S. with the footage and edited over months. This time we went to film the premiere screening of the short film at a local movie theatre. There were a lot of emotional/beautiful moments during our 8 days stay in Uganda. We did our best to capture them. This project is not finished yet. Stay tune! We stayed in school and saw this every night. There were barely any electricity, tap water or gas in the villages around the school. Every morning and dusk, local villagers come to a well in the school to get some water for their family at home. Then they walk back to a long steep and bumpy road to get home. Those containers filled with water were heavy. Our New Drone Reel Is Up! We've been using a DJI Inspire Drone for film, commercial and reality show projects. It was not easy to fully understand the mechanics of it at the beginning. But we've been fortunate enough to travel for quite a few projects and fly our drone in many places, like the beautiful Hamptons, Nevada's wonderful red desert and the amazing coast lines of South Africa. Lately, we upgraded our drone camera to Zenmuse X5 which can capture more crisp and detailed images with 4K micro four thirds sensor. 2nd Camera Arrived! RED SCARLET-W 5K. We received a new RED SCARLET-W 5K Camera! This camera was just released in this February from RED. The camera can record up to 50fps at 5K full frame and 120fps at 4k full frame. Like RED DRAGON, it can simultaneously capture both R3D and Avid DNxHD or Apple ProRes file formats. If you want to shoot your film, commercial or interview with 2 cameras, we cover it all! Camera Upgrade! RED WEAPON 6K. We upgraded our RED Dragon to RED Weapon 6K! The camera can record up to 75fps at 6K full frame and 120fps at 4K full frame. Also, it can simultaneously record RED CODE Raw and Apple ProRes or Avid DNxHD file formats-at the same time. We just shot Axalta commercial with RED Weapon. and loving it! Spike is rocking Weapon with Ronin. "The Lake on Clinton Road" feature film behind the scenes. UrbanMouse went back to its roots with this one. This was the epitome of bare bones, independent filmmaking. Primarily, this feature film was produced, shot, and edited with only a 3 person crew + cast. Despite these obstacles, the film is finished, has distribution and is playing in select theaters. Find out how we made something out of virtually nothing. I was approached by Riley Wilson of Imaginary Forces to shoot a short film he had written called "Orange Bright." In this film, I experimented with a lot of flares, soft filters and the Sigma ART 35/1.8 zoom lens to support the non-linear, surreal story-telling style he employed. Since I was handling the edit, I was able to approach the VFX shots very practically with low-tech, low-cost solutions. Read more about it here. A Fashion Film that we made a couple month ago, "Memoir" has been chosen as Official Selection for the Miami Fashion Film Festival and La Jolla Fashion Film Festival 2014. La Jolla International Fashion Film Festival is scheduled from July 24, 2014 to July 26, 2014. 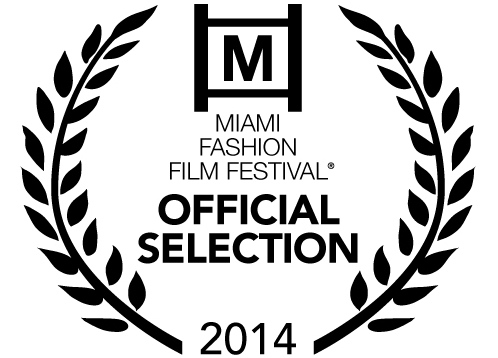 Miami Fashion Film Festival is scheduled from September 10, 2014 to September 14, 2014. We're planning to be there for the screening so please come by and say hi to us if you will be around there! My name is Motomu Ishigaki from the UrbanMouse production team. Recently, created a fashion film for an inspiring, upcoming women’s clothing brand, District Lane. We wrote, directed, produced, shot and edited all in-house, and I'd like to share the process of making the film here. Inspiration of their Fall/Winter '14 collection comes from the designer’s own childhood memory. Therefore, the wardrobe is 80’s vintage inspired. They would like to film models in a snowy forest as well as a vintage-looking home. They’d like to use a narrative short film as their vehicle, but without losing the elements of a fashion video. Without being too direct, the film needs to showcase each dress. The goal of this project was to compound our resources, and incorporate a look book photo shoot as well as the video shoot on the same day, somewhat simultaneously. I proposed a treatment where we can film the video and photo in one day within two locations. One was an urban industrial subway tunnel in NYC. The other was a vintage-looking house surrounded by forest in Ulster Park, NY (upstate). Based on the designer’s inspiration, I wrote a script that told the story visually from a little girl's perspective. During auditions, it was wonderful to meet three models/actresses, Kathryn Ramirez, Alexandra Chelaru, and Marjorie Simionato. They did have not only great looks for the collection, but they also possessed the ability to bring emotion to the story. District Lane really liked their subtle and sincere performance. On the shoot day, the Ulster Park location was covered with up to 30 inches of snow and it kept snowing throughout the day! While we wanted to have snow, it was WAY more than we needed! Even though one of our awesome crew members, went to the location and shoveled snow down the long driveway the day before the shoot, a 12-passenger van couldn't drive up to the house, and many of us had to hike 200-300ft in the deep snow. Fortunately, we had efficient shooting plan with our great collaborator/still photographer, Shumma Nakatani, enabling us to shoot everything that we wanted. Last but not least, I was very fortunate to incorporate music from a great composer, Danny Bensi. We hope you enjoy our fashion film "Memoir," and big thanks to District Lane! "The Golden Scallop" is playing at the Austin Film Festival this weekend. Definitely a milestone in this feature film's life. Go us.